If you walk around the Truscott Plaza, Clarkson Community Centre, Sheridan Creek and then along Bromsgrove Road and Benedet Drive you should notice a significant reduction in garbage lying on the ground, along fences and in bushes. 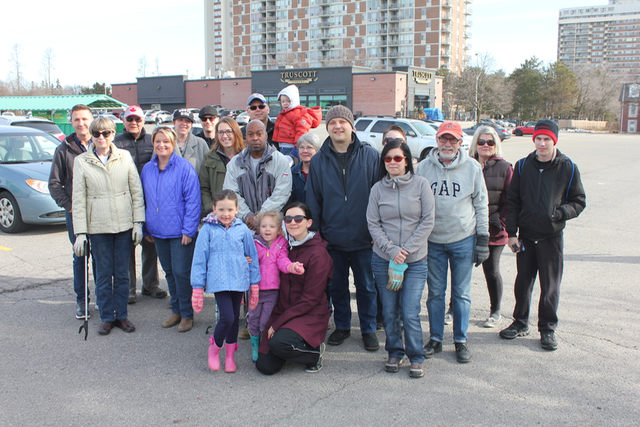 This is thanks to the over 25 volunteers who collected over 40 bags of garbage around Park Royal on the morning of Saturday, April 21, 2018. 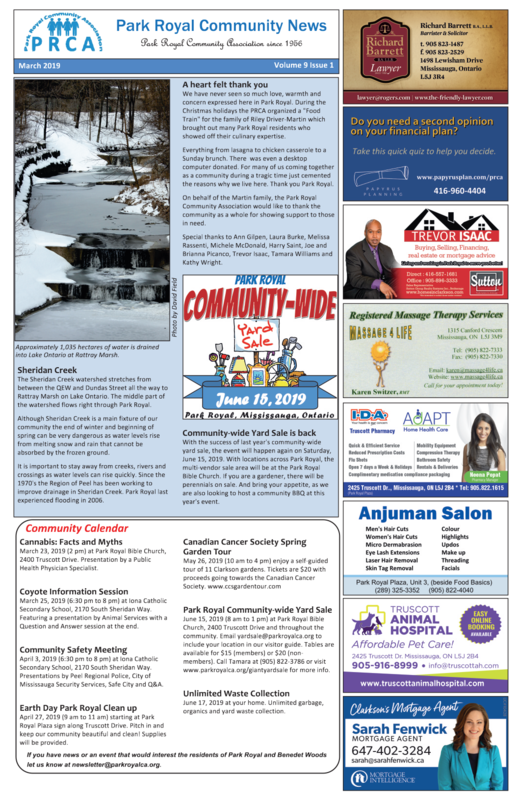 The event was organized by the Park Royal Community Association with the help from Councillor Karen Ras and the City of Mississauga. The city supplied the bags and gloves for the volunteers. 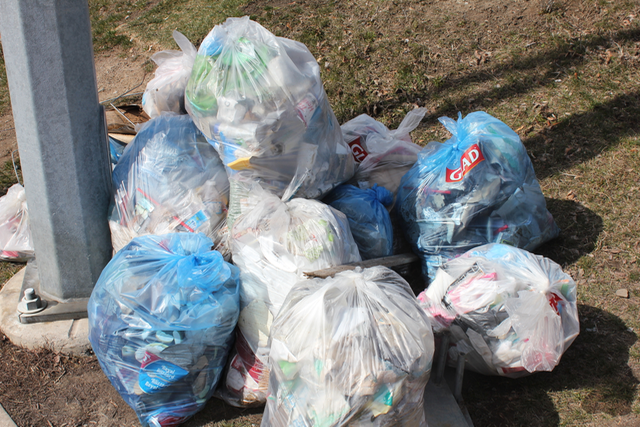 Some of the 40 bags of garbage that was collected during the Park Royal Community Clean Up ready for pick-up by Mississauga Waste Management at Bodmin Road and Truscott Drive.